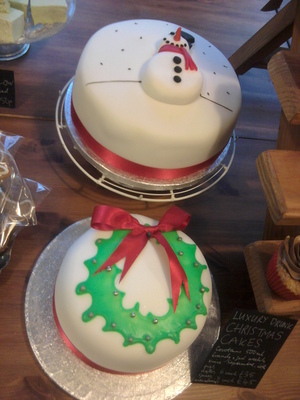 In Belfast, on a cold winter day, cakesbyjames offers a calm oasis and a gorgeous array of home-made cakes. The cafe is off the beaten track, while at the same time being a stone's throw away from City Hall and it offers a refreshing change from a standard cafe and indeed from standard cafe fare. The cakes available include European and American classics, such as rich fruit cake, cupcakes and chocolate brownies, using a modern and original design style. 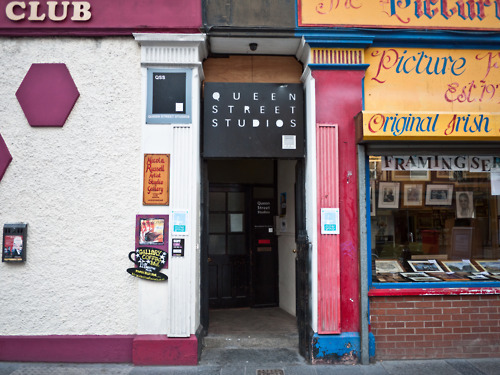 The business is located up two steep flights of stairs, in a tall Victorian building occupied by Queen Street Studios. If you didn't already know it was there you would miss it! It is definitely worth a visit. 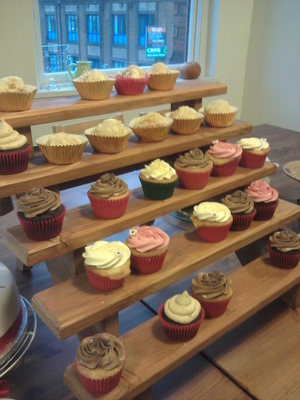 The venue for CakesbyJames basically consists of two rooms – the kitchen and the eating area, which open into each other, creating a welcoming environment. The eating area has white-washed walls and big windows and is dominated by a large wooden table, where the main attractions are laid out. 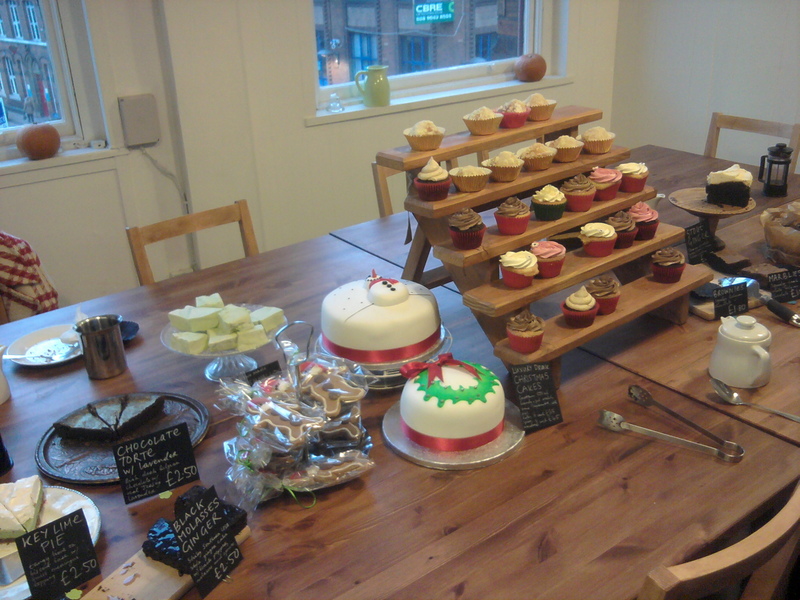 Customers eat communally around the edge of the table, and perhaps contemplate buying a second round of cakes, or a box of cupcakes for later. On my visit, with a friend who had heard the buzz but had not yet been, we sampled the chocolate brownie and the key-lime pie. These both tasted yummy and disappeared easily and were washed down with tea and coffee. Portion sizes are good and the cakes are reasonably priced. 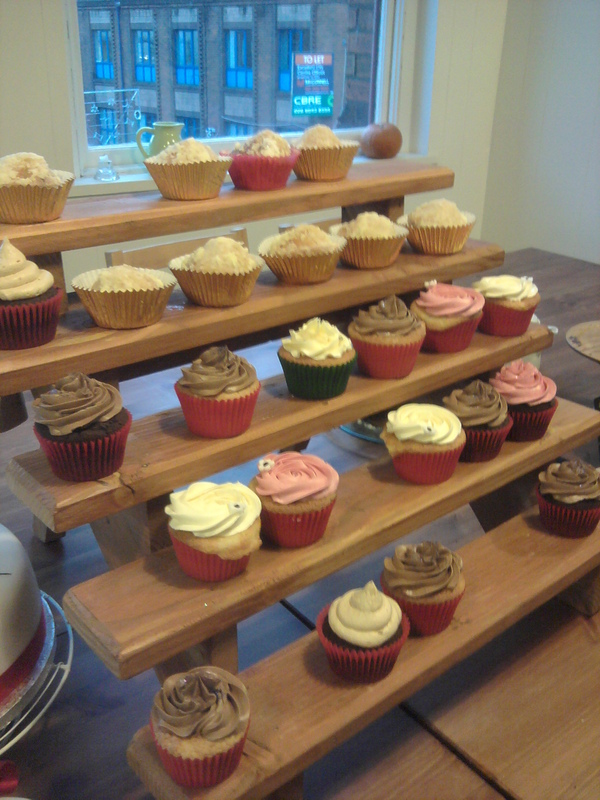 CakesbyJames is mainly a cake business, specialising in bespoke cakes, and the cafe is an extra part of the business. Brother and sister team, James and Dawn Watson, both make and design the cakes. James had built up a client list before the duo established the business in the art studio in these premises in 2011. During our visit several customers dropped by to pick up their orders. These may range from boxes of smaller cakes, such as cupcakes, to larger specially designed cakes for weddings, birthdays or anniversaries. Next time I'm in Belfast I will be dropping in to try something else from the menu of tantalising cakes. That looks like a really nice place.